Office workspaces are always adapting and changing, which means that office furniture manufacturers need to adapt and change with it in order to supply their clients with the very best. Orangebox is one of these companies. They are constantly searching for new and innovative ways to increase productivity and maximise comfort with Rapid Office clients. Orangebox was launched just over a decade ago in 2002, but since then have grown to become one of the most modern companies in the office furniture industry. They are still committed to providing modern and, aesthetically pleasing furniture. This office furniture manufacturer takes pride in harnessing new technology making their business more adaptable and agile. In 2012 and 2013, Orangebox won numerous awards for their excellent work in constructing new office furniture. Their most recent award was given for their work in reducing consumption materials. With global warming featuring prominently in the news over the last few years, more and more companies and businesses are looking for ways to reduce their impact on the environment. Orangebox will help you achieve this, whilst also cutting down on the cost. There are two major portfolios that are offered by Orangebox, and Smartworking is possibly their most well-known range. The intelligence of the designers at Orangebox is evident throughout this portfolio. 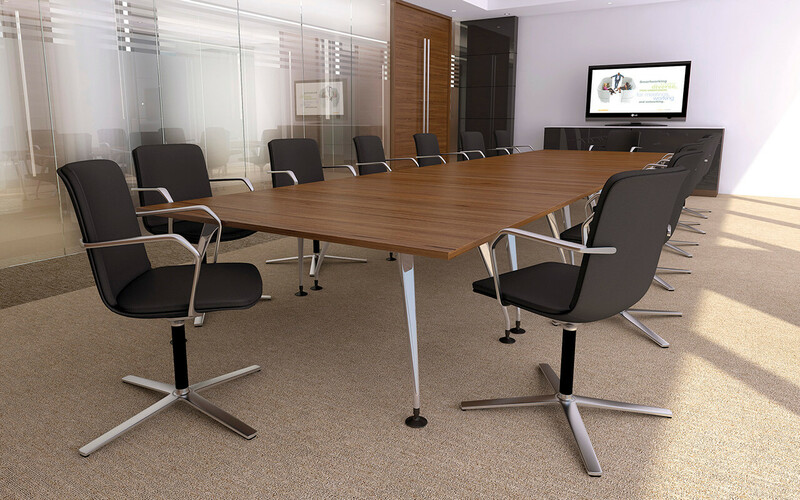 One of their key products is their table range, which can be adapted to suit a variety of purposes such as office desking and training tables. As the working environment adapts and changes, so have the needs of those who use desks. 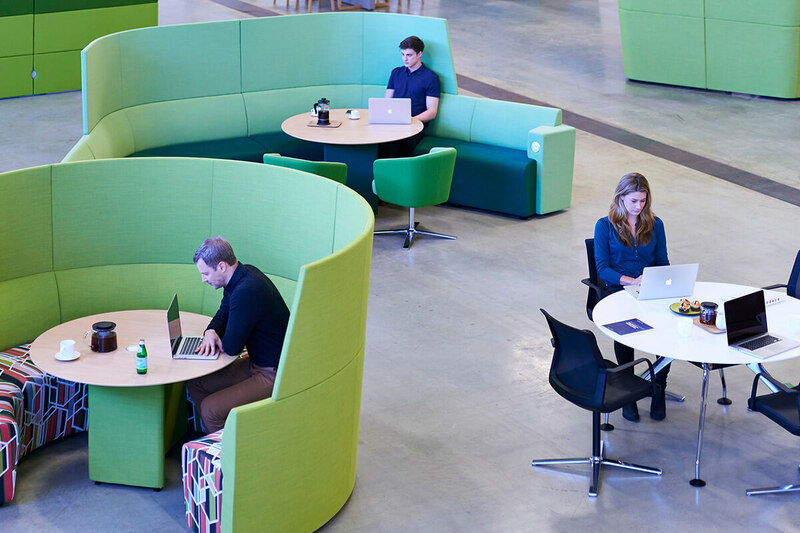 Smartworking allows the client to select products from a portfolio of soft seating, screens and office desks. Partially used desks are a thing of the past, as the Smartworking range allows all available space to be utilised and can help organise your working environments in a way you never thought possible. Hard working people are at the centre of any business and in order to harness their creativity, a company needs open and unique spaces to encourage new ideas. Orangebox offers over 15 different designs for meeting room chairs. There are many styles available including steel wire frames, skid bases, four star bases as well as the classic 4 legged frame. Finish them off with leather or one of the other fabric collections by Orangebox. An agile and adaptable workplace is essential to the productivity of workers. Flexible privacy has become an important part of an organisation, particularly those that require several different projects to work in one space. When it comes to space planning, businesses now need to think of breakout area furniture and the best way to incorporate it into their workspace. Orangebox offers a wide range of different seating options, leather sofas to screened meeting areas, each of which can be adapted into your office environment. Customers like to feel valued and that’s one thing that Orangebox does incredibly well. The opinions and ideas of each client are taken into account and used throughout the design process in order to provide a collection that suits your office perfectly. From the moment you give the measurements of your office, a sales assistant and team of designers from Orangebox will be with you, to make sure that you are getting the best value. Only the most sustainable materials and best construction methods are used to ensure that you don’t overpay and you get your money’s worth. Here at Rapid Office, we have an excellent relationship with Orangebox. Contact us now for professional service, expert knowledge of the office furniture industry, and the latest products from this manufacturer.